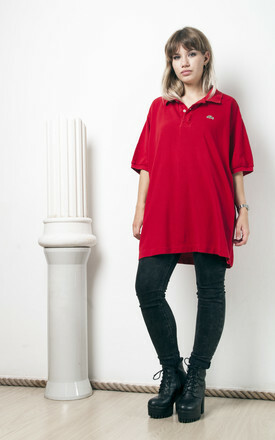 Vivid red oversized Lacoste T-shirt with the inevitable croc logo at front. It's a boyfriend fit, can be worn as a dress too. We recommend it for a size 10-16, depending on the desired fit. Came from the 90s in flawless condition. 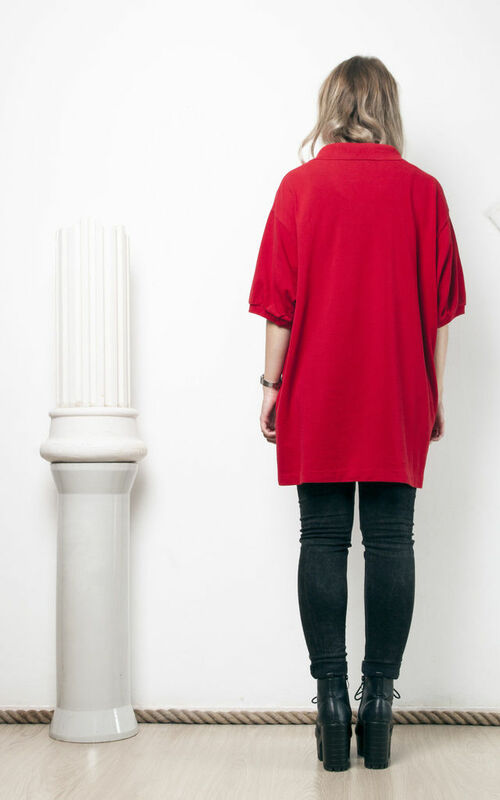 Featuring button closure at front and natural cotton fabric. shoulder: 50 cm / 1' 7"
width (seam to seam): 61 cm / 1' 11"